It’s only fitting that Atlantic Records is releasing its recording of Hamilton in a variety of formats that, like the hit musical itself, rewind history. The download went on sale September 25; the CD comes out October 16. According to a tweet from Lin-Manuel Miranda, the show’s author, there will also be an actual LP, that throwback medium embedding the topography of a score in warpy spirals of vinyl. The LP, should it happen, would return us nearly to the dawn of the original-cast-album era, when Decca managed to fit not quite all of Oklahoma! on six ten-inch double-sided 78-rpm platters. As much as the technology has changed since 1943, the business model for original cast recordings — call them OCRs, but not soundtracks, please — has changed even more. In the old days, major labels bid for the rights to record and release major musicals. If flops were preserved, it was usually by accident: a record producer’s unlucky bet on a horse that went lame. 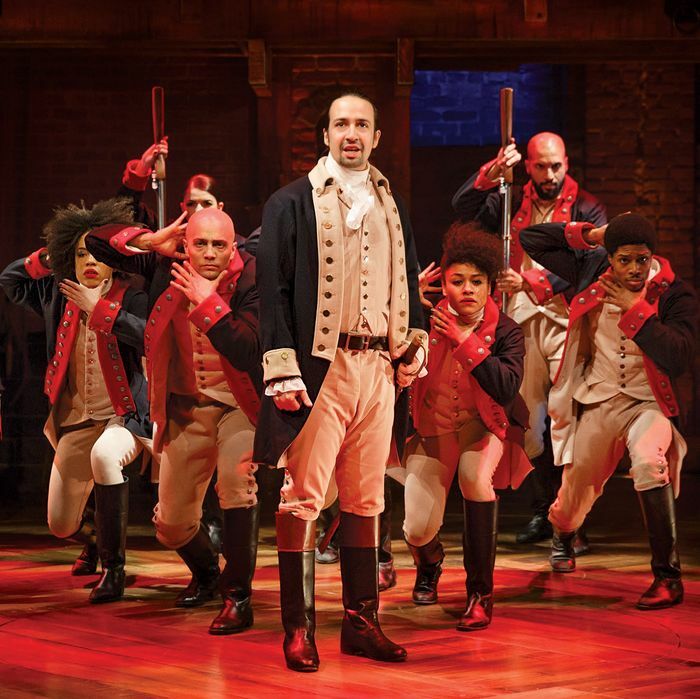 Now, even though major labels aren’t much interested in musical theater unless, as with Hamilton, they perceive major crossover appeal, nearly everything is recorded, from spectaculars to duds to four-person Fringe revues. Last season tells the story. Fifteen musicals opened on Broadway between June 2014 and April 2015; though at least nine were flops, 14 got cast recordings. (The 15th, Holler If Ya Hear Me, was apparently recorded but never released.) This despite the likelihood that most of these cast recordings, even the ones whose shows are hits, will not prove profitable. Two things are at play here. The major labels began to abandon Broadway when most OCRs, typically selling fewer than 50,000 copies, could no longer recoup the expenses of making and selling them. (Only five of last season’s shows were recorded by big names like Sony, Universal, and Decca.) At the same time, the advent of digital music made production and distribution a much simpler process, available to almost anyone. As the major labels moved out, new boutique labels like Sh-K-Boom and PS Classics therefore emerged with novel business models to exploit the old niche and record the shows that would otherwise be lost to history. It is still rather expensive to do that; according to Brian Drutman, a recording consultant specializing in musicals, a Broadway OCR costs about $400,000 to make. But in many cases it’s no longer the labels paying. Instead, the productions themselves are. A show that might ordinarily raise $10 million for its Broadway capitalization might now, without much more effort, raise $10.4 million, that extra fraction letting the producers pay for (and thus own) the OCR outright. Or a new label might syndicate the costs and profits among a group of investors. (The boutique label Broadway Records has its own variation on these paradigms.) The upside for the labels is obvious: Taking a fee or a royalty, they are much less exposed to risk. The upside for the producers (and for the artists as well) is that they have a permanent record of work they may love, or at any rate hope to profit by in the future. A show creamed by the New York critics might yet live on in high schools and regional theaters — if there’s an OCR to spread the word. This is good news for a show like Tamar of the River, which played barely a month Off–Off Broadway in 2013 despite one of the most extraordinary new scores in years. Now others can hear it and produce it. But is it good news for the rest of us that, say, Doctor Zhivago, last season’s worst Broadway musical, is also preserved? There’s a reason most flops flop, and sometimes all an OCR can do is show you why — forever. Last season’s 14 Broadway cast recordings are generally as good or bad as the shows they were made from. But not always. Ranked reviews below. Beautifully sung, and oh, that orchestra, here enhanced from the 29 in the pit to 40. The fullest account to date of the score — including the amazing original dance music by Trude Rittmann. Jason Robert Brown’s songs, channeling MGM circa 1950, swing and shine without the icky book and blah production that deadened them onstage. Joyful and solid and free of the production’s sometimes annoying desperation to please. A bit sepulchral in the theater, Kander and Ebb’s final score comes alive on the atmospheric OCR, with a chilling star turn by Chita Rivera. Like many big-fun spoofs — see also The Producers and Spamalot — the workmanlike score of this musical about the invention of musicals loses something on multiple hearings. This mismatched-wedding-party musical seemed hopelessly dated in the theater, but guess what? Dated musicals can sound pretty good in your earbuds. Kristin Chenoweth adjusts her sensational comic performance perfectly for this revival cast recording, but nothing can make up for the vastly reduced orchestrations heard here. Jukebox musicals, even classy ones like this Gershwin pastiche, don’t record well; reverting to their original form, the songs don’t hang together. Stick with Ella. For those who love the screamy 1997 OCR, this more-disciplined revival cast album may seem like weak tea; for me, it’s an improvement, which is not saying much. This is what downloadable singles are for: a schizy show filled with botched numbers but a few gorgeous ones, too. You can get Victoria Clark’s “Say a Prayer” for $1.29. Bombast and treacle aren’t a good combination, and they tend to curdle when preserved. Matthew Morrison belts up a storm, to no avail. Why Do Broadway Shows Still Release Cast Albums?